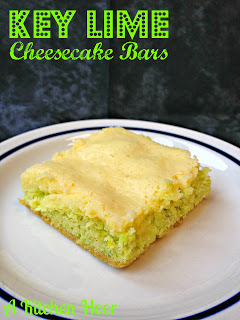 Yet another Buns In My Oven winnings creation, these Key Lime Cheesecake Bars have a cookie dough base with creamy, sweet tart key lime flavor. I have never really played with box mixes like this. I mean cake mix, yeah a bit, but not cookie mixes like this one. This makes me wonder if there are recipes for make your own cookie mixes? Hmm…. I know these mixes have fat in them and it’s my ultimate goal to lower our fat intake, so I’m always looking for make your own convenience items like this that I can make lower in fat. And OH MY were these tasty for being pretty low in fat. 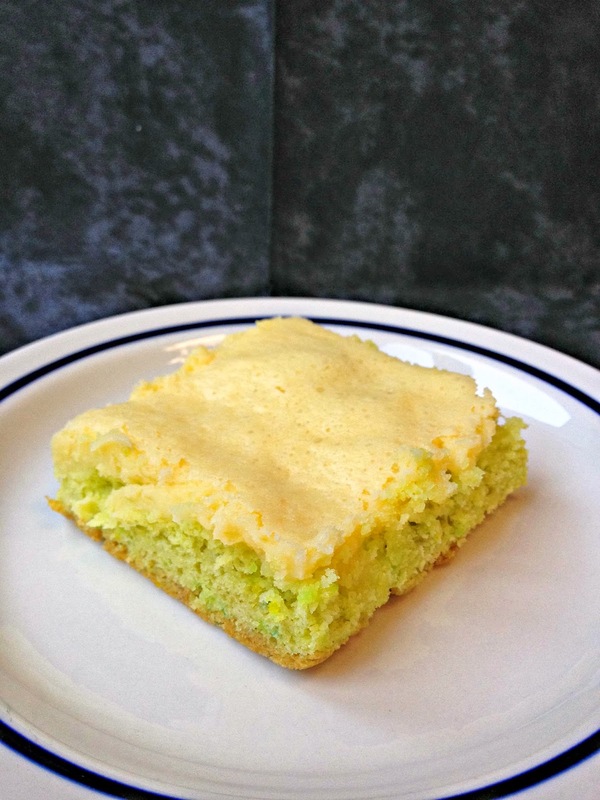 After I made the orange bars, I knew KNEW I wanted to make the key lime cookie mix into the same type of bar. 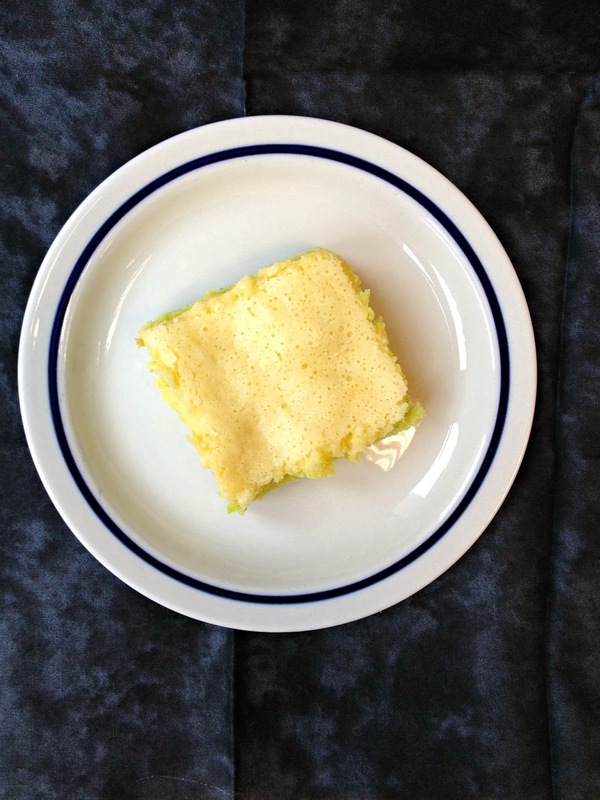 Key Lime Pie just really stuck in my head… I was initially going to make a key lime curd on top, but yeah. I got lazy. Maybe later? I still have key limes in the fridge. I actually BOUGHT a juicer so I could make fresh key lime juice. How in the world have I lived without one of those? Seriously. It’s not big enough for oranges, but limes and lemons? Oh yeah baby! Lemon curd? Gonna happen. Lime curd? Yup! And not with any pre-squeezed crap either. FRESH SQUEEZED BABY! I had pretty much planned to bring this whole pan into work. I didn’t think S like key lime anything. “Dunno. Never tried it.” Um…you lived in Florida and NEVER had anything key lime? Is it just me or is key lime like the epitome of Florida? Yes? No? 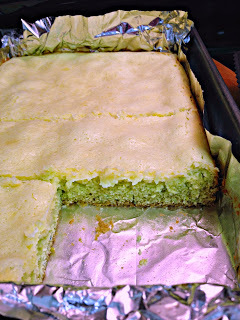 *shrugs* I know it can be REALLY limey and tart, which is why I added as much sugar as I did. I didn’t want him to really turn his nose down at it and I didn’t want to have that icky pucker face when I was done. Not with these babies. They are YUM-MY! In any event, these bars are easy to put together and taste fantastic! Combine the cookie mix, 1/2 cup margarine, and 1/2 cup egg substitute. Stir until well blended. Spread into the bottom of a 9 by 13 pan covered in aluminum foil coated with cooking spray. 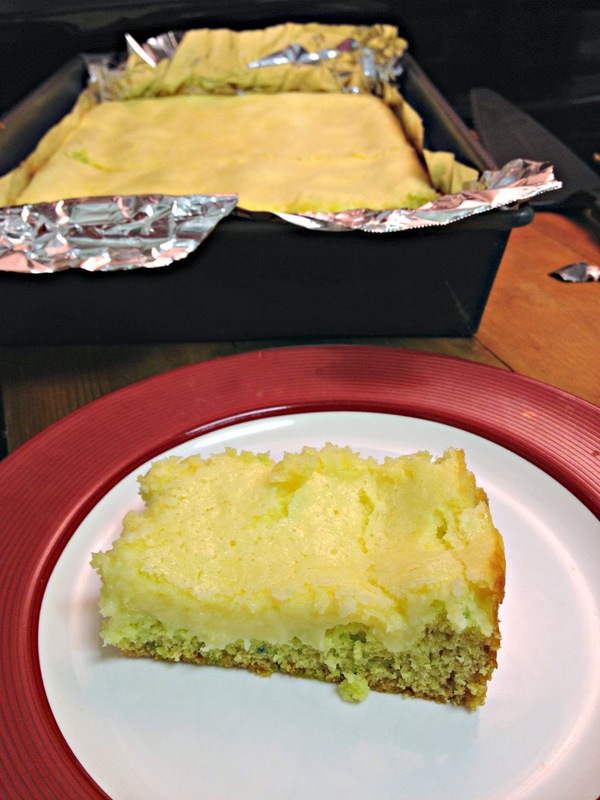 In a medium mixing bowl, beat the cream cheese, key lime juice, sugar, and egg substitute until creamy. Pour the cream cheese mixture over the cookie mixture. Bake at 375 for 25 to 30 minutes or until the center is slightly set. Yum! These look great! I'm stopping by from the bloglovin hp and i'm a new follower through Bloglovin. Happy Saturday!